Lovely is mild yet vibrant; a melody, not a symphony. Lovely has grace but not quite elegance; elegance distances us from the subject, loveliness draws us in. Lovely is enjoyable. Lovely is pleasant. Lovely is nice. Lovely is a pretty face with an unmistakably chipped tooth. Lovely would not exist without love. I've been described as lovely, and chances are you have too. Because unlike beautiful, pretty, cute, striking, and so on, lovely is safe: It is clearly an endorsement, but whether it’s an endorsement of the person’s spirit or their appearance is left up in the air. Even as we champion “inner beauty,” we need the inner to distinguish it from that other kind of beauty—the kind that when spoken of as beauty alone, with no qualifying words, we understand to be external. Stevie Wonder sang of his daughter in “Isn’t She Lovely”; we describe infants as beautiful all the time, but as an overt love song to a child, lovely becomes a word that both cannot be argued with (some babies are weird-looking, after all) and one that removes any possible inappropriacy. It’s a compliment, but a desexualized one; years ago, I was walking down the street when a man started walking alongside me serenading me with this song. This would be an unremarkable, if over-the-top, street encounter were it not for the fact that I was holding hands with my then-boyfriend: My troubadour was looking for an unassailable compliment (and a tip), one that would allow him to admire a woman without bringing out any possessive tendencies in her companion. Lovely was no accident there. Nor is it happenstance that Sarah Jessica Parker’s fragrance bears that name. She’s an actress known for her verve, charm, and talent, not necessarily her beauty; lovely stakes her claim—and the claim of anyone hoping to share her essence—in the territory of the perhaps-pretty yet certainly-appealing. Its very versatility lends itself to overapplication, even sarcasm. I might say a lunch date has been lovely when I’ve had a truly delightful time with my dining partner; I might say the same if I felt slightly uncomfortable—headachy, not feeling social, stressed, whatever—but want to use a not-untruthful word to describe the time I spent with someone I enjoy enough to schedule a lunch with. Oxford English Dictionary notes this comparatively weakened use of lovely going back as far as 1614, and also notes its use as an intensifier: "Feel my Johnson's Baby Powder—isn't it lovely and downy and soft?" says a 1937 ad in American Home. The baby powder isn't lovely, of course; it needs the support of the other, more exact adjectives, before lovely has any actual meaning. Lovely can temper one's sentiment, making it clear that there’s something that’s held back—lovely carries no exuberance, even as delight may spark its use. 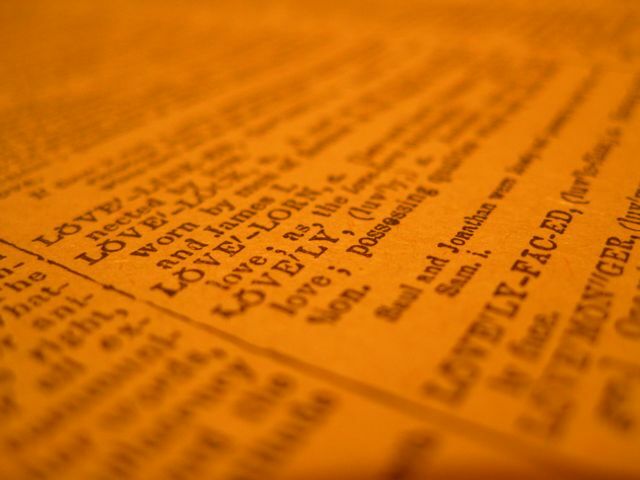 Of lovely, Merriam-Webster goes on record with “Lovely is close to beautiful but applies to a narrower range of emotional excitation”; thus beauty trumps even love in its abilities to arouse. With its tempered usage, lovely to mean lowly becomes a particularly Anglo-Saxon-inspired form of sarcasm: It would be too easy to turn around a stronger adjective to mean its opposite. But the very restraint of lovely lends itself to a contained sarcasm. “A dispute arose between these two lovelies [street-sweepers] as to who was entitled to the gutter” appeared in a Pennsylvania newspaper in 1876; more than a century later, young British artist Stephen Johnson, who specializes in “designing items of no physical use-value,” created his “Now Isn’t That Lovely” series of junk-store kitsch. Yet the literal root of lovely is, after all, love. 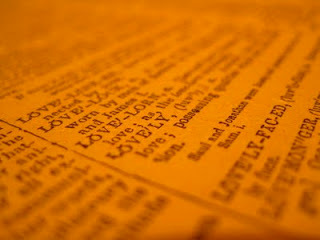 When used at its most straightforward, there’s an implied emotional connection to lovely that may or may not be there with beautiful or pretty. Beauty provokes emotion, to be sure, but emotion provokes lovely even in beauty’s absence: Are you able to look into the eyes of an un-pretty person you’re fond of and not see some small loveliness? To call someone lovely is to utter a wish for mutuality: If I find you lovely, there's a subdued, miniature ball of love somewhere in there. And what fun is it to play ball alone? What an interesting meditation on the connotations of this word. Many, many years ago, I heard a man use this word so comfortable...and it seemed so thrilling to hear a male say it. Thank you, Terri! You know, in my head whenever a man says "lovely," he's British. I'm trying to think if I've heard an American man say "lovely" without being sarcastic, and I can't think of a time. It would be, well, lovely were more men to use it! My husband is one of those rare men who'll use "lovely" without sarcasm, and he's not British. I adore my husband and how he curates his words.